We offer a wide variety of custom and heavy duty hose options. 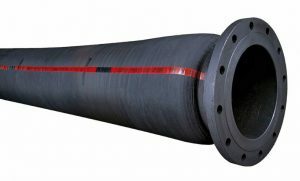 We can fabricate a hose assembly from stock hose and coupling materials, or custom design a hose to specifically meet your challenging applications. Custom designed hose assemblies have a longer production time, and allow you to customize the hose construction to meet your exact need. Hose assemblies can include built-in couplings (no crimping or clamps) for a sleek design, increased durability and coupling retention. Tube material and thickness can be customized as well for maximum durability in challenging applications. 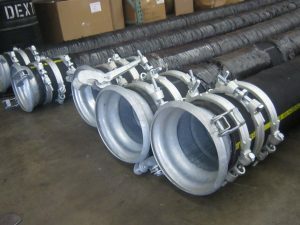 We have stock OS&D (oil suction and discharge) large bore assemblies prefabricated in various lengths with built-in fixed and floating carbon steel 150# flanges, 4 inch through 12 inch diameter.